Grimes in Montreal or Quebec City? 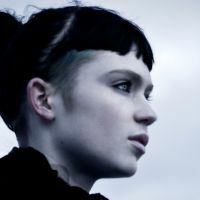 Inform me about the next events for Grimes. Enroll yourself to our priority waiting list for Grimes to be alerted when new tickets are available. Filling this form doesn't engage you to any purchase. Grimes will be back in Montreal ! On November 21st, 2015, Claire Boucher will be performing at the Montreal Metropolis. This new concert in Montreal is part of Grimes' first headlining tour : The Rhinestone Cowgirl Tour, which is set to stop by 17 cities in October and November.